If you think your car or truck is not performing the way it should, you can easily learn what's the problem by simply checking the computer inside your vehicle. As soon as you notice your check engine light is on or any other issue, don't hesitate to contact us at Great Bear Automotive. Disabling or ignoring your vehicle's warning lights is not recommended because, after a while, this seemingly small issue may result in a complete engine breakdown. As soon as you see something out of the ordinary, our auto mechanics would be glad to inspect your vehicle, diagnose the problem and apply the necessary solution. At our repair center, we have the latest scanning equipment and tools to accurately perform engine repairs and diagnostics. Once our mechanics diagnose the problem, we'll cautiously make a decision regarding the type of repairs that need to be done. Once our mechanics come up with a plan of action, we'll discuss it with you, letting you know how much it would cost and keeping you posted about each step of the repair process. When you are dealing with a flashing check engine light, just know that something is not okay with one or even more of the systems in your vehicle. These systems are vital components of your vehicle, so they have to be in top condition in order for your vehicle to run properly. Come to our auto repair center in Weston, FL and learn why your check engine light is on. 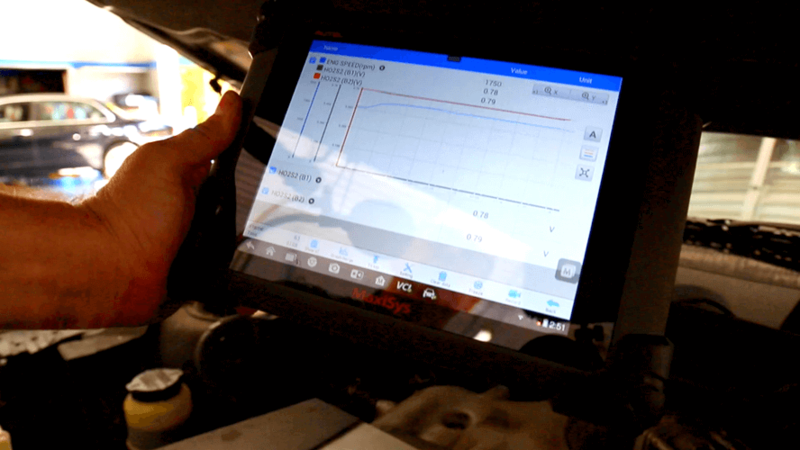 Our team of trained and ASE-certified auto mechanics will use a scan tool that will be connected to your vehicle's onboard computer system. This system will communicate with the scan tools using special codes and at the same time helping our mechanics in determining the problem. In most cases, our auto mechanics have to go through a very complex diagnosis flow chart procedure in order to discover the problem and find out what caused it. This process provides our auto mechanics with the opportunity to properly repair your check engine light and prevent any major repairs in the long run. Whenever your vehicle's check engine light is illuminated, schedule an appointment with our professional auto mechanics. We possess the necessary experience and computer diagnostics equipment and tools to diagnose and repair check engine lights on almost every vehicle make and model on the road today!